Dorothy Darby was born and raised in New York State before relocating to New Hampshire. Her professional career spans 30+ years in a business environment which includes positions in Administration, Accounting, Sales, Customer Service Management and Business Management. Early in her career she completed college course work and obtained a certificate in Business Management and Human Resources. In 2005, on the advice of a friend, she decided to take her career in a different direction and began working as a Legal Assistant for Keefe & Browne, P.A. Due to her proven skills and professionalism, her position quickly evolved from a part time Legal Assistant to a full time Paralegal and then Office Manager. When Attorney Browne decided to open her own firm in 2012, Dorothy gladly joined her practice as Office Manager. She continues in her role as Office Manager of the Law Office of Shaunna L. Browne, PLLC. As such she handles all of the financial and operational aspects of the firm in addition to working directly with our current and potential clients. She is typically the person who conducts initial intakes with potential clients and will be the person to assist new clients when they decide to retain the firm. 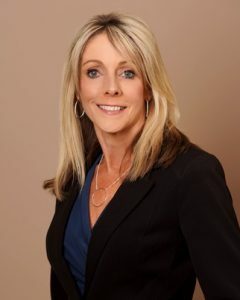 She not only brings a wealth of knowledge due to her professional accomplishments, but also brings a level of understanding and compassion due to her own life experiences which allows her to assist our clients during what may be the most difficult time of their lives. She currently resides in Hooksett, New Hampshire with her husband, Sean. She is the proud mother and stepmother to five adult children and four grandchildren. Her passions include spending time with her family, especially her grandchildren, gardening and reading.